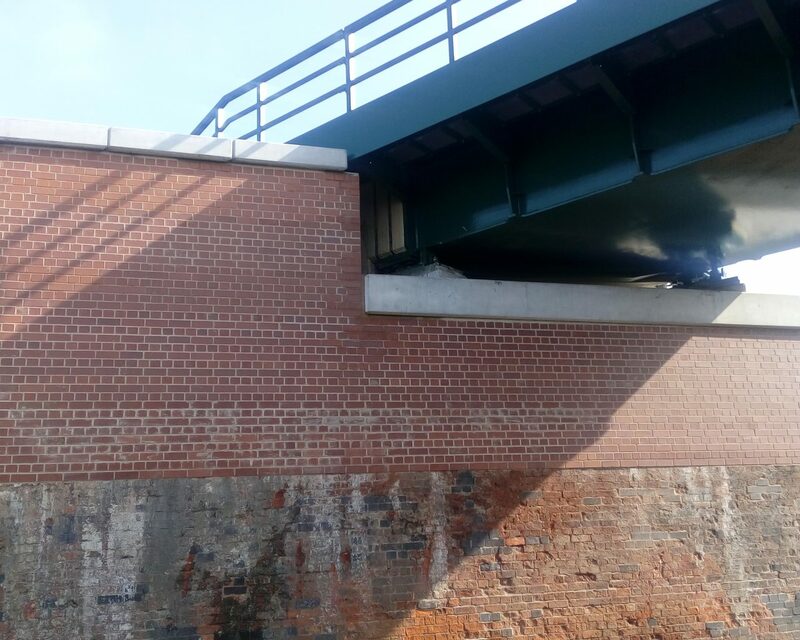 The original construction was two track wide bridge, with a single track structure. 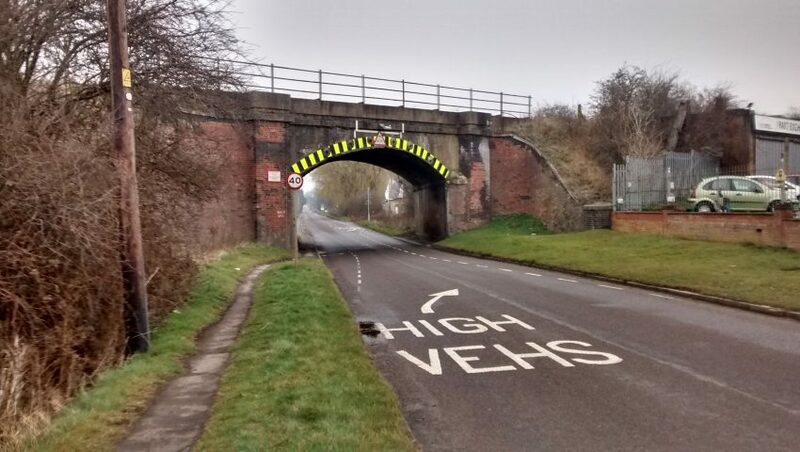 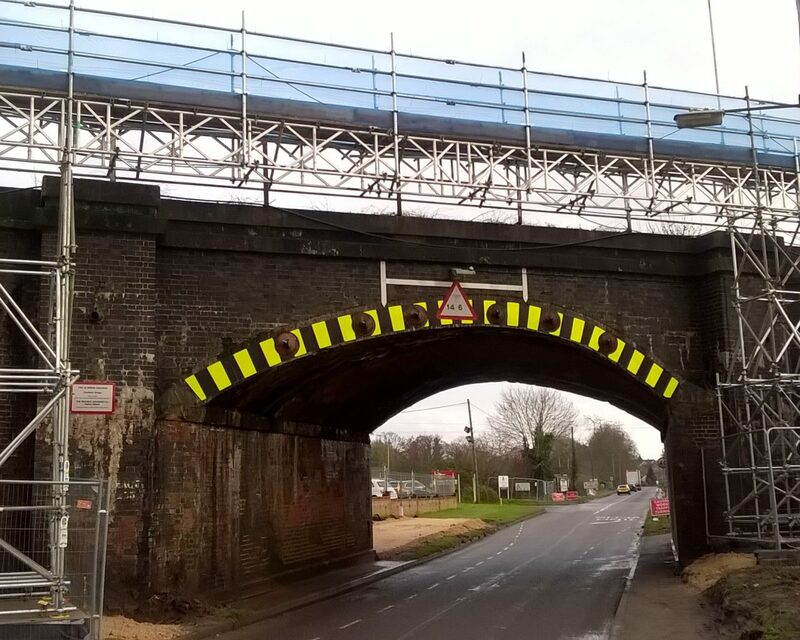 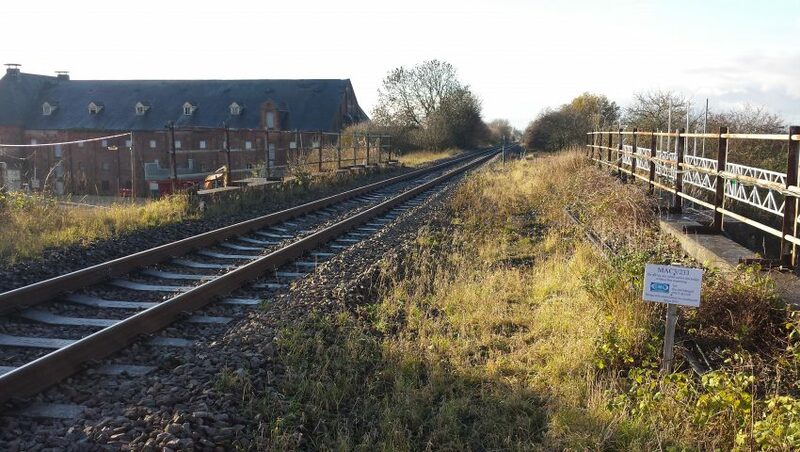 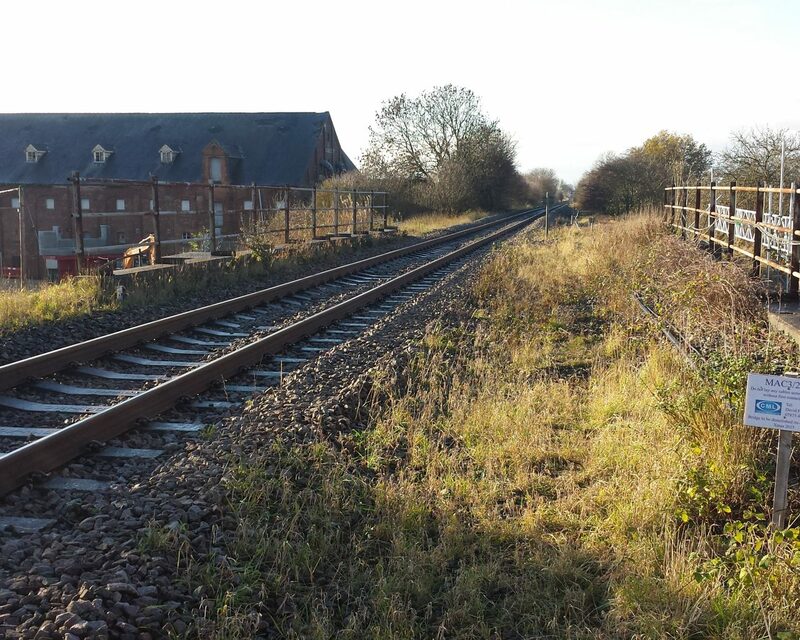 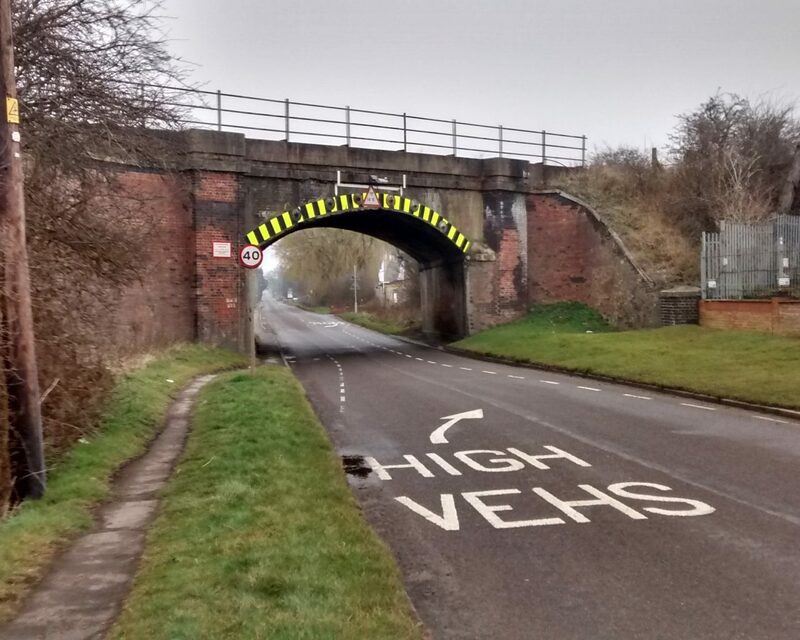 Network Rail were concerned about the on-going deterioration and excessive movement of the existing brick arch bridge, and it was decided that the most economical course of action was to replace it. 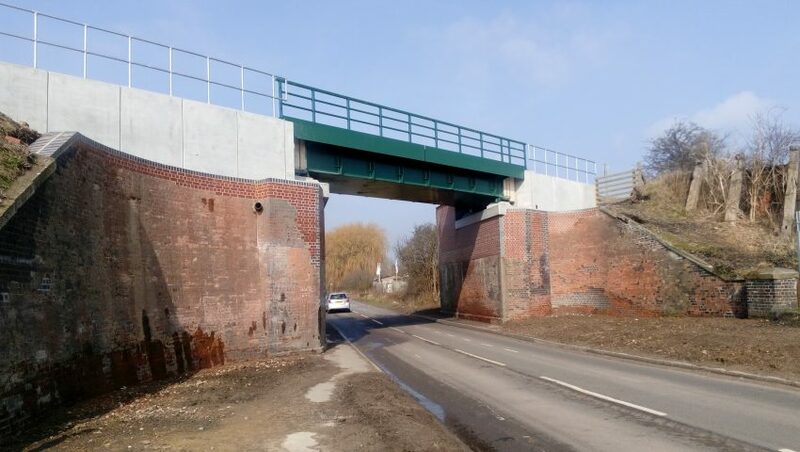 A design was carried out which involved the replacement of the old two track wide bridge with a single track structure, with future widening back to two tracks being possible by leaving the abutments at their full width. 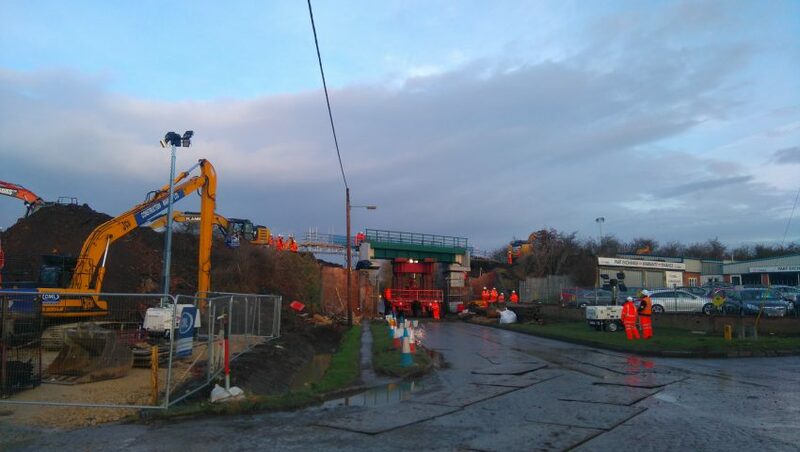 The bridge reconstruction was to be integrated into the North Lincolnshire Re-signalling Blockade. 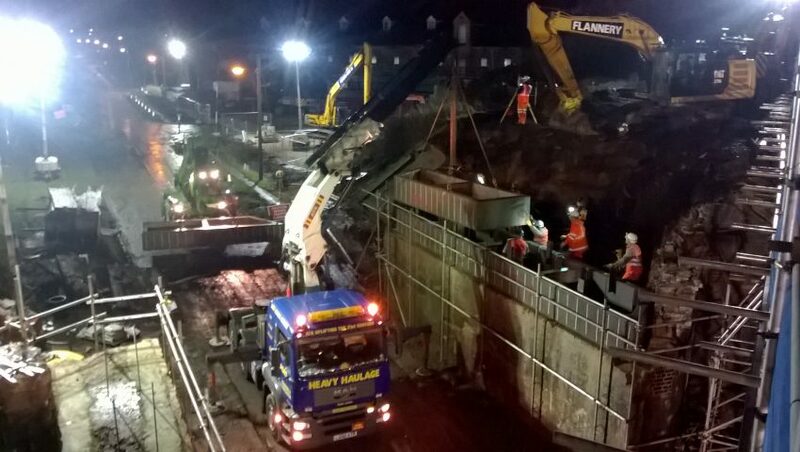 The fact that the works had to be carried out over Christmas meant that a significant amount of planning and risk evaluation was required. 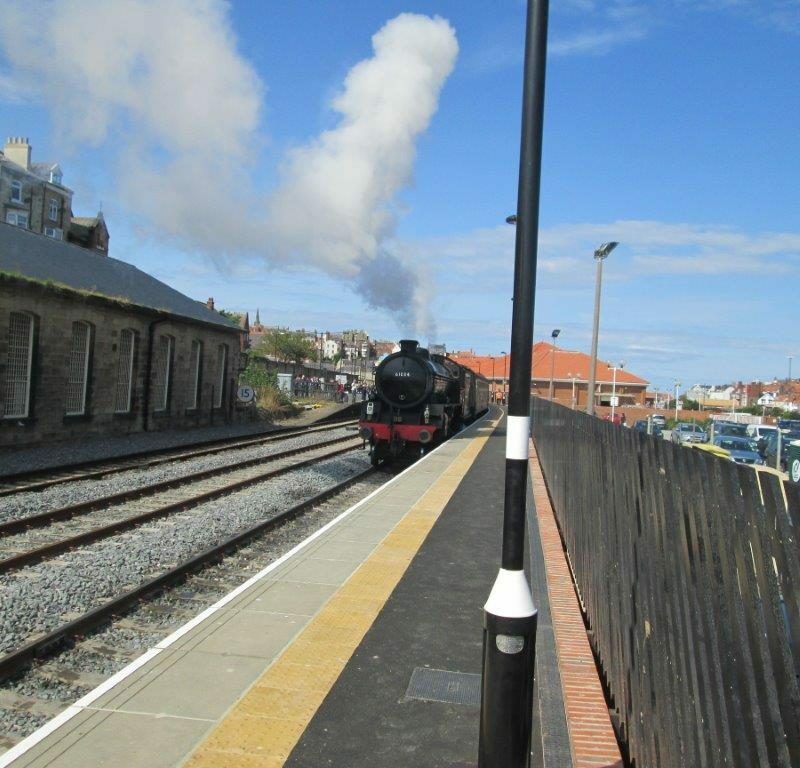 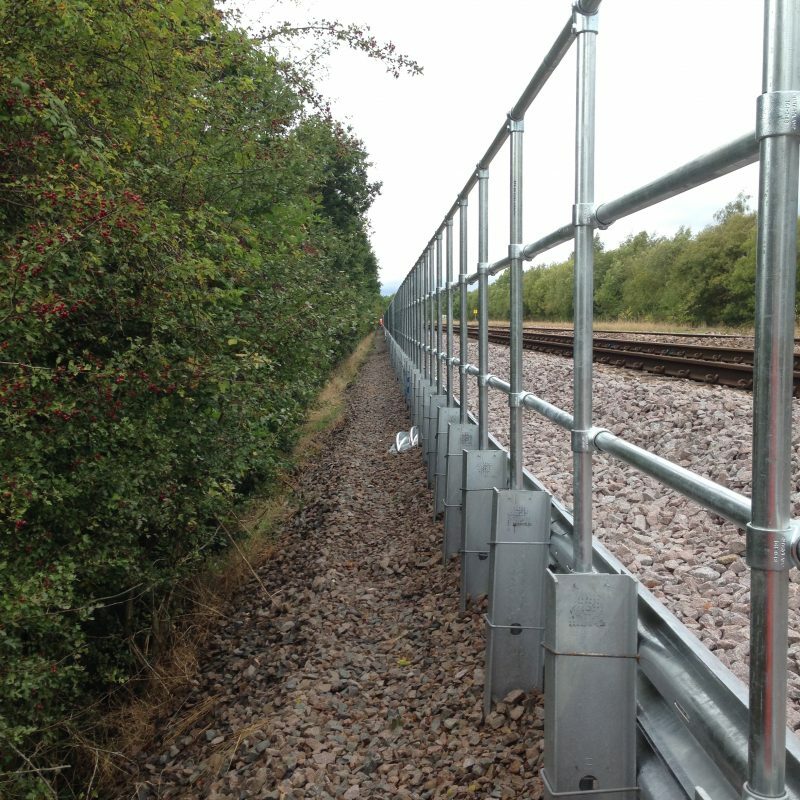 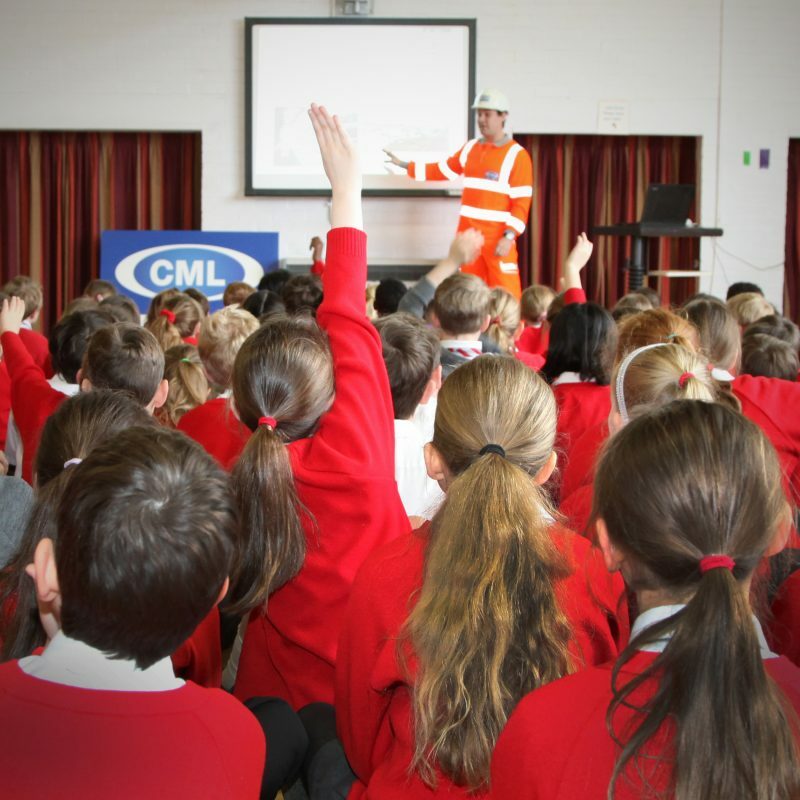 By utilising this opportunity, CML was able to optimise the planned access, removing the need for future disruptive possessions and therefore reducing the impact on train operators and customers alike. 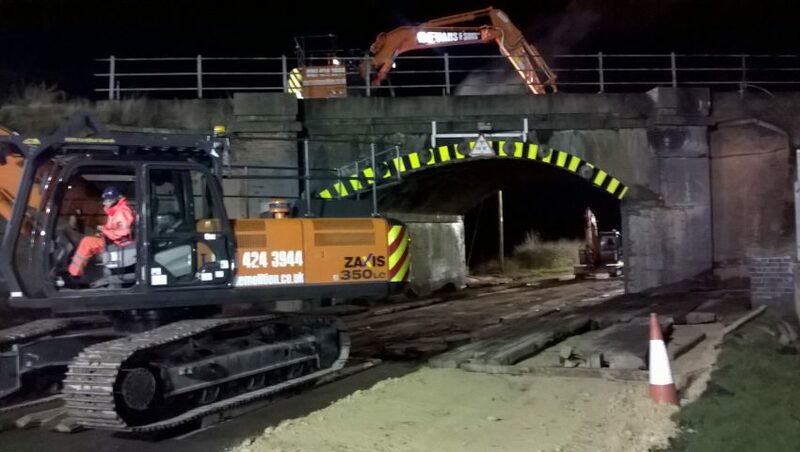 All fill material on the arch was removed to a designed sequence, and the arch was demolished in a designed sequence as well. 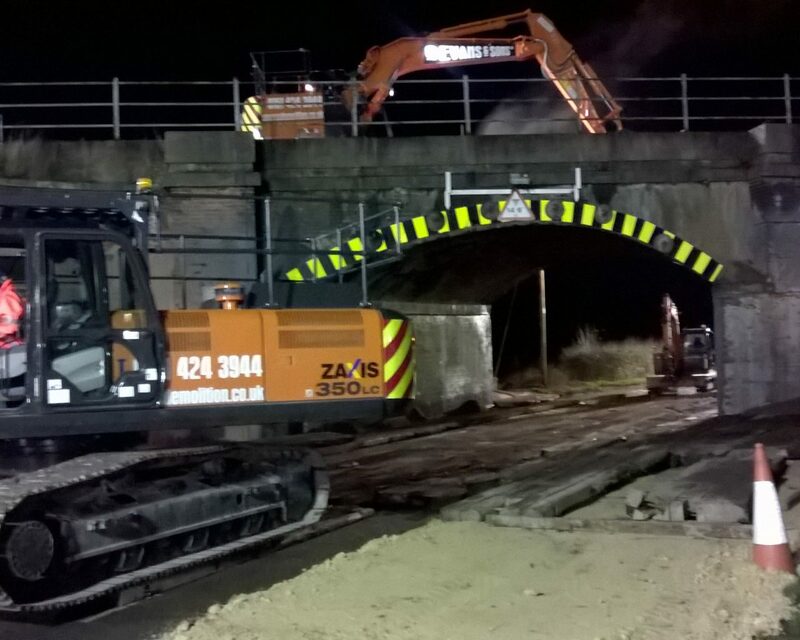 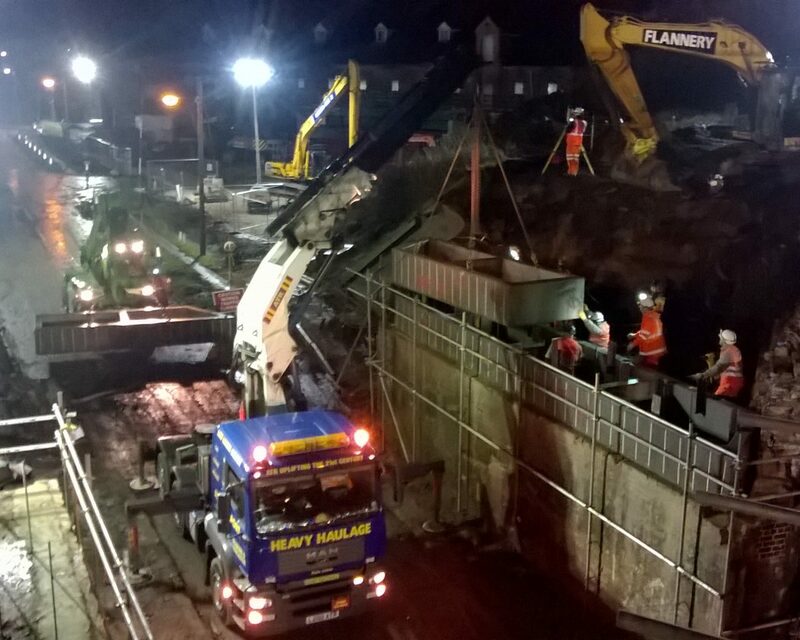 Due to the nature of the arch, the demolition lowered the abutment to the arch springing level which was some 1.57m below the level required for placing the cill units of the new bridge. 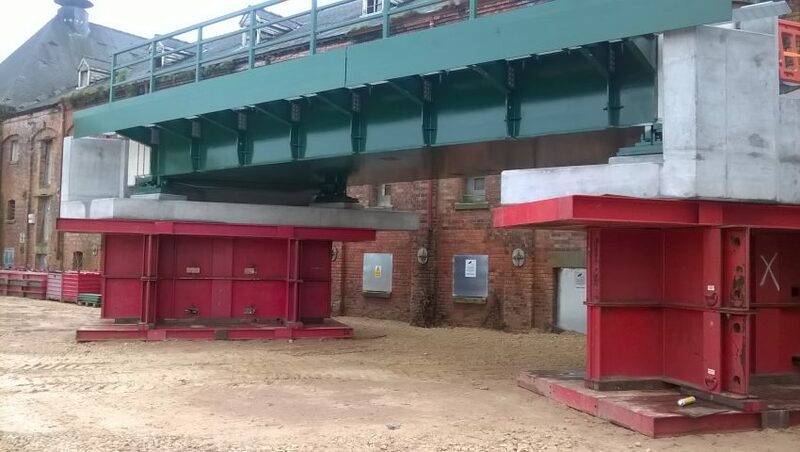 The novel solution chosen involved the use of pre cast cellular ‘riser units’ which were placed on a screed and then filled with concrete to generate the required mass and strength required in the design. 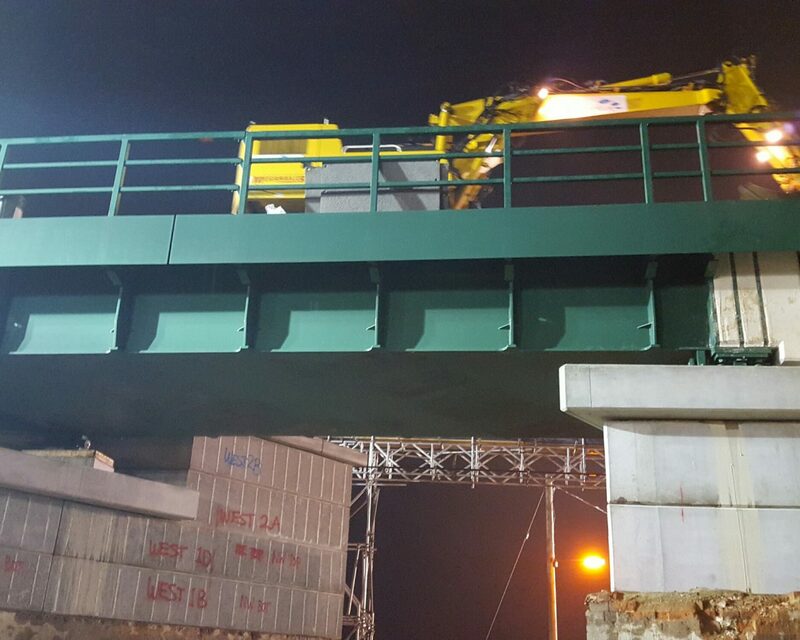 The cellular units were placed by a hi-ab lorry, and concrete was supplied from a nearby batching plant opened specifically for these works. 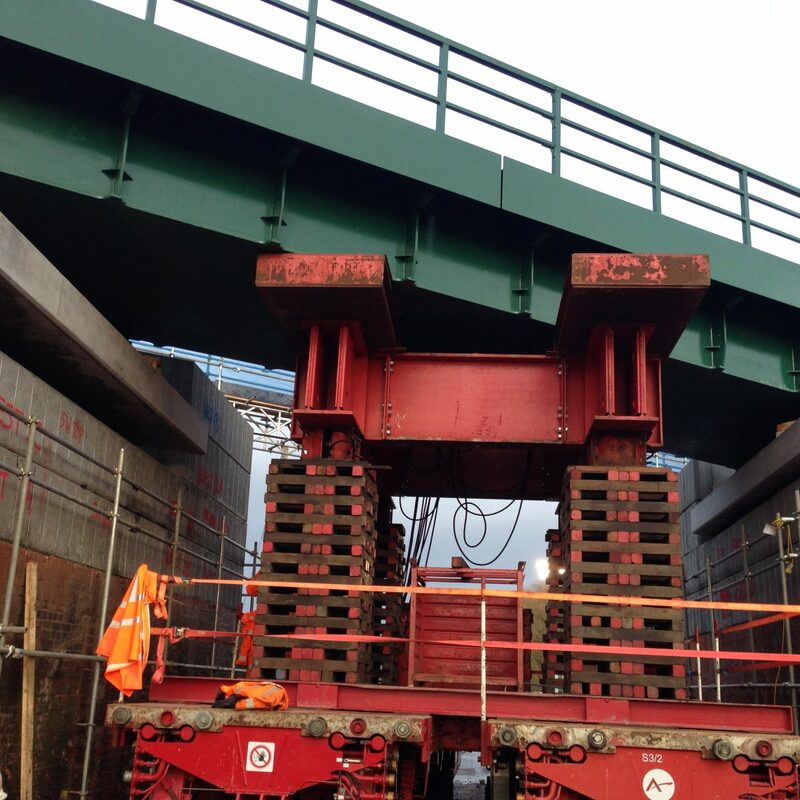 After the riser units were completed, the bridge was driven into position by SPMT and then pre-cast ballast retention units were placed before backfilling commenced. 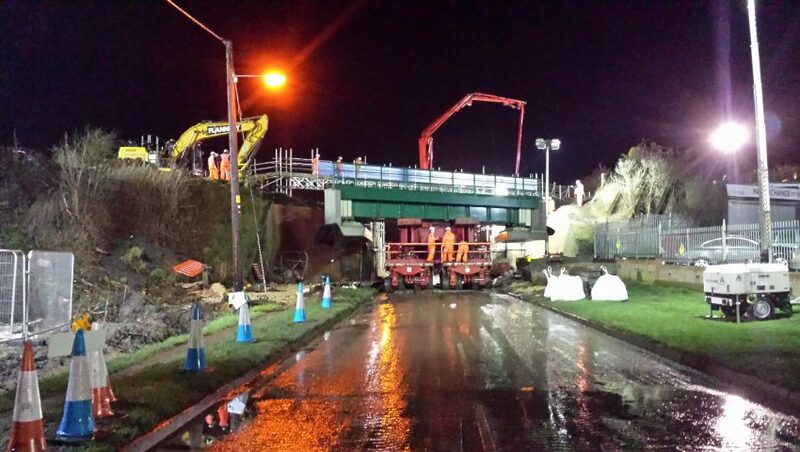 The bridge was handed back on 27th December at 21.30, 48 hours before the end of the blockade possession. 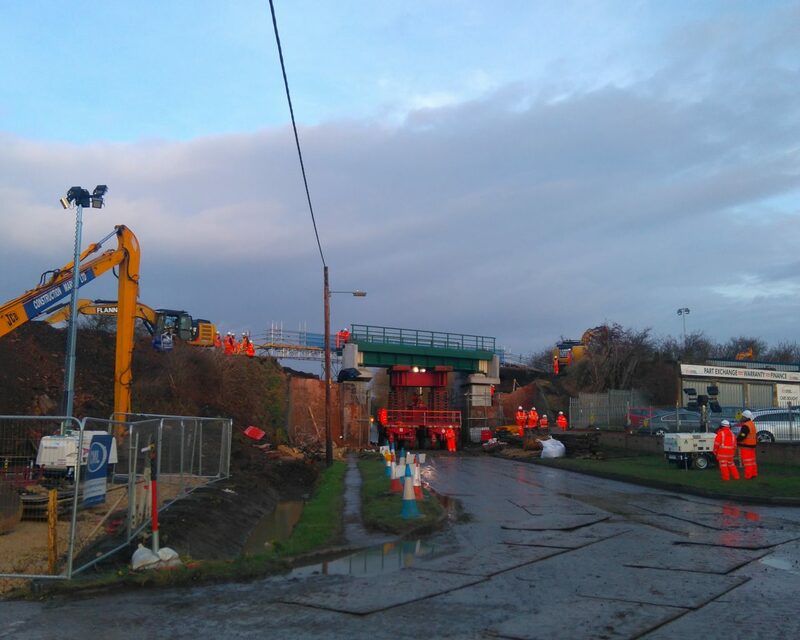 Installation of under track crossings and diversion of S&T cables onto the side of the railway where the new bridge was to be installed. 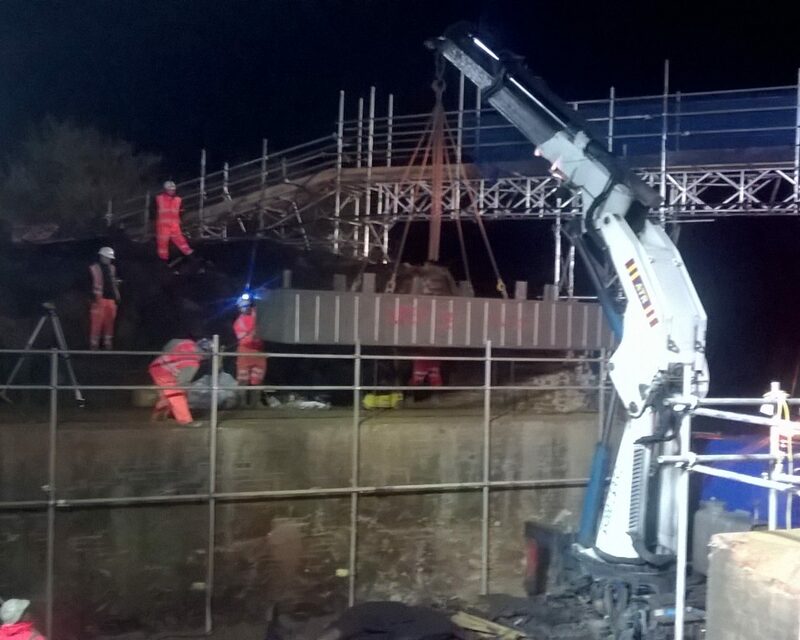 Erection of temporary scaffold bridge to support S & T cables which were moved out of the way of the works prior to the main possession. 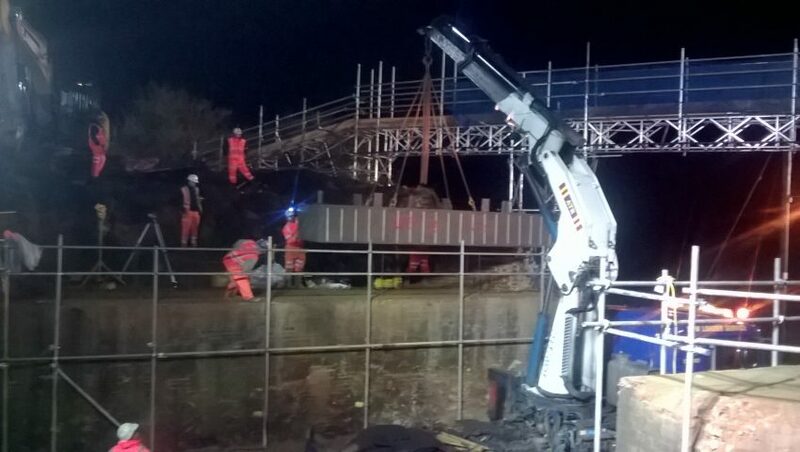 Removal and storage of track superstructure. 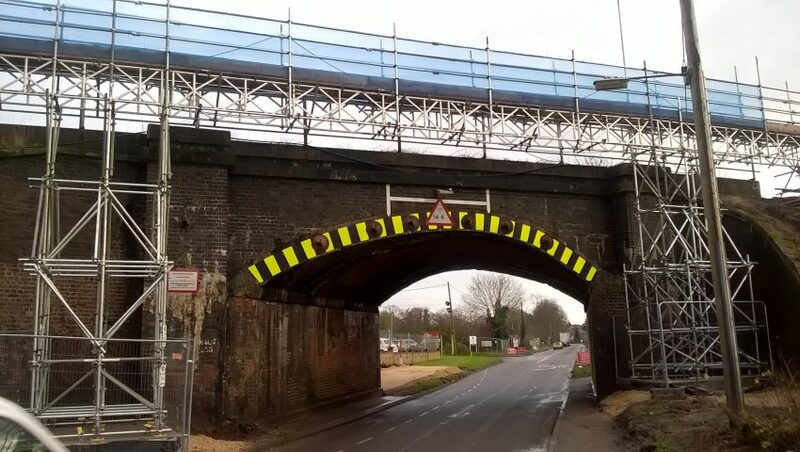 Safe removal of fill from above the existing brick arch, and sequentially demolish the arch to the road below. 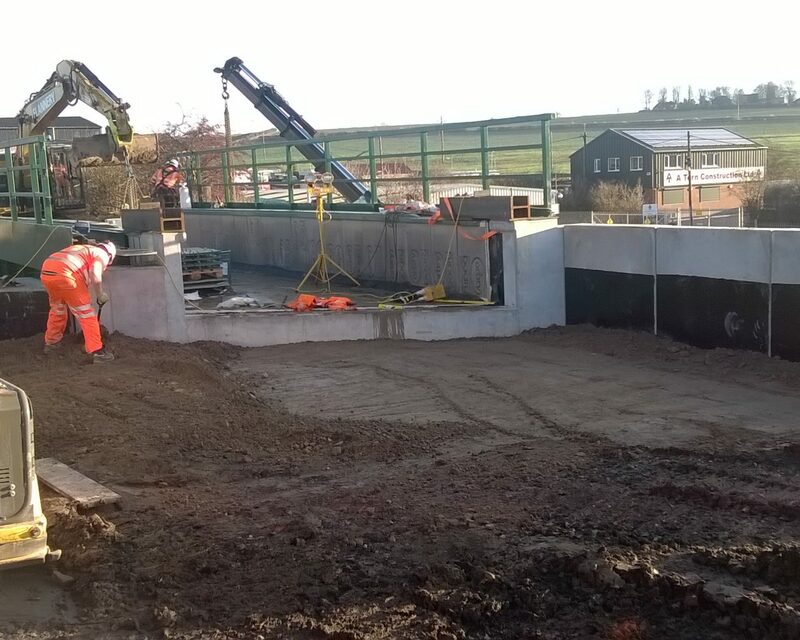 Reduction of abutments and installation of screed to accommodate new pre-cast concrete riser units. 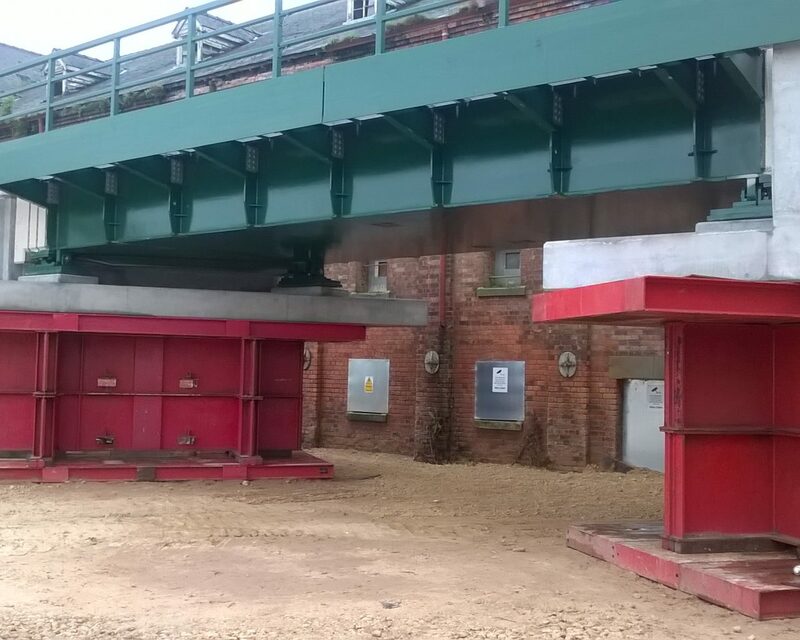 Riser units filled with concrete placed by pump. 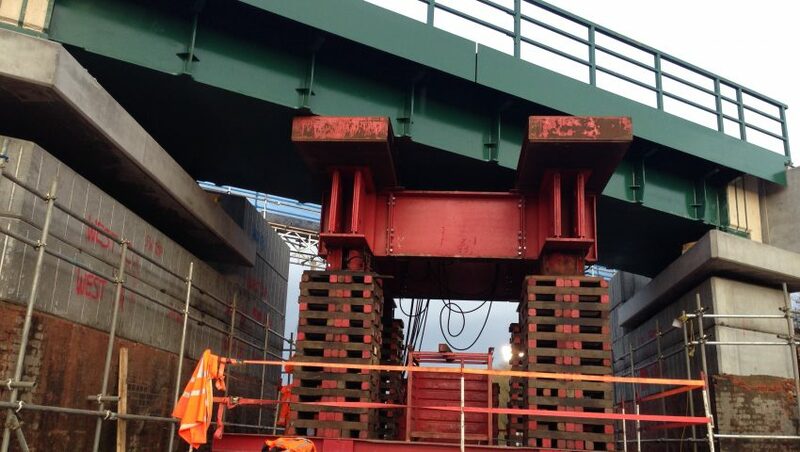 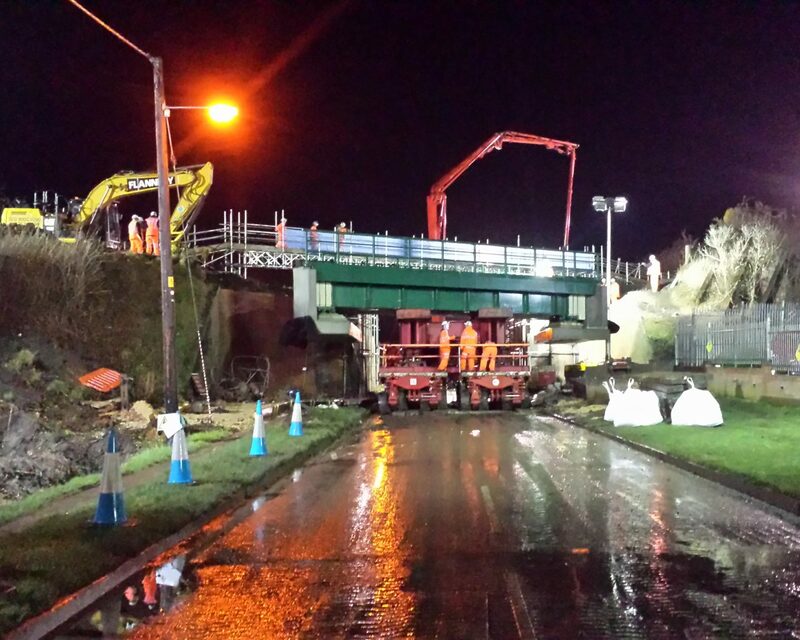 Transport and installation of new bridge using SPMTs, complete with cill units, total weight 200 Tonnes. 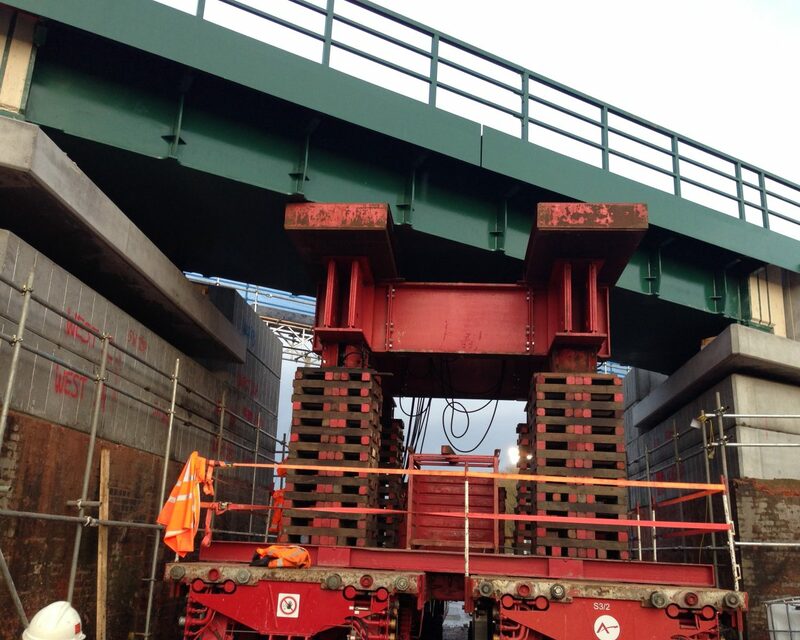 New ballast retention units installed on the approaches to the new structure. 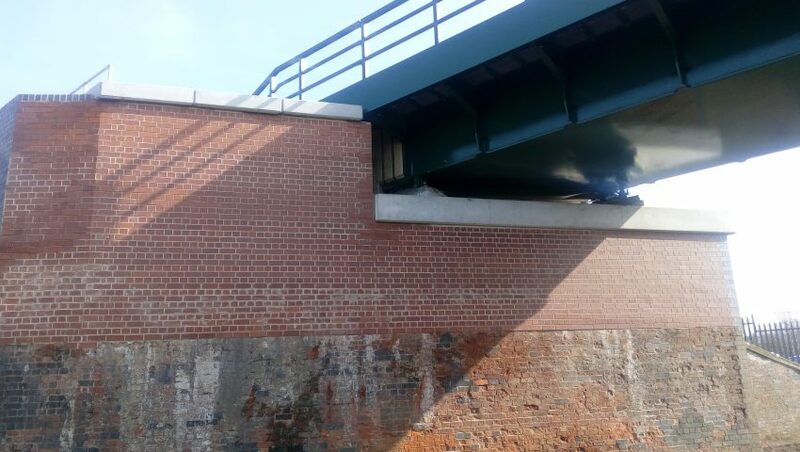 Face riser units with brickwork to match the existing abutments. 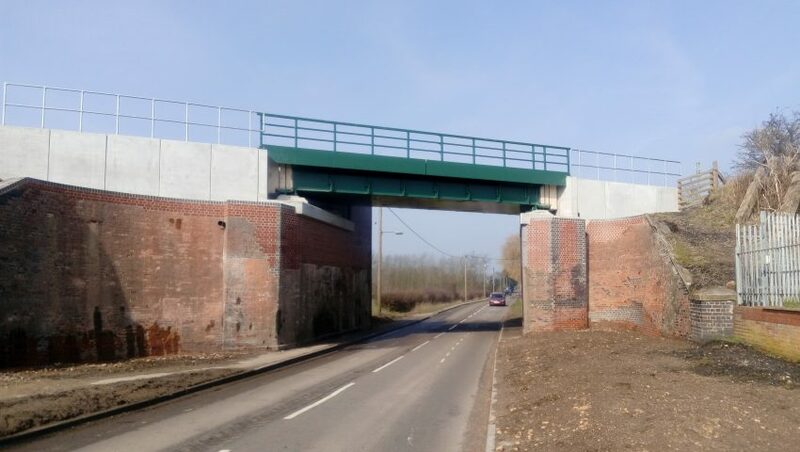 Works completed on programme, within the constraints of the blockade. 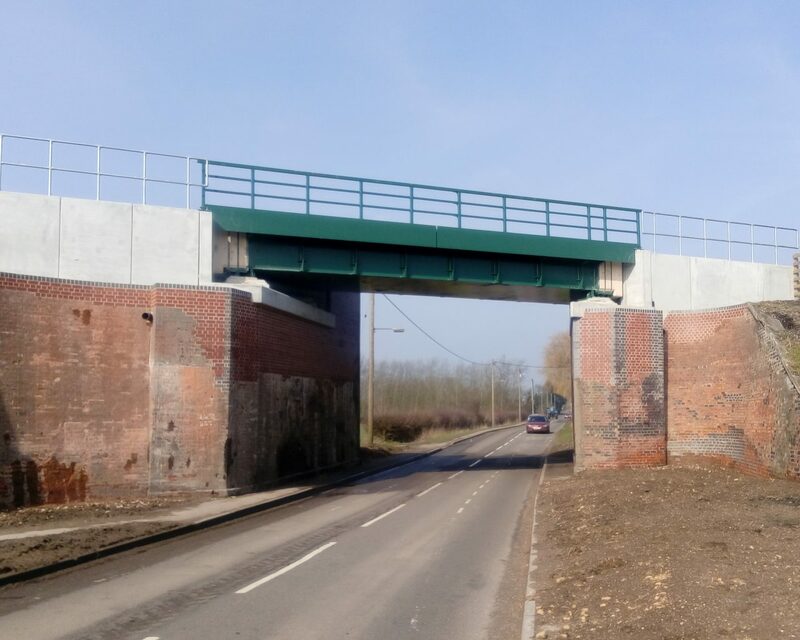 New bridge allowed the removal of the height restriction posed by the low height and profile of the old bridge, thus making it accessible for all standard road vehicles. 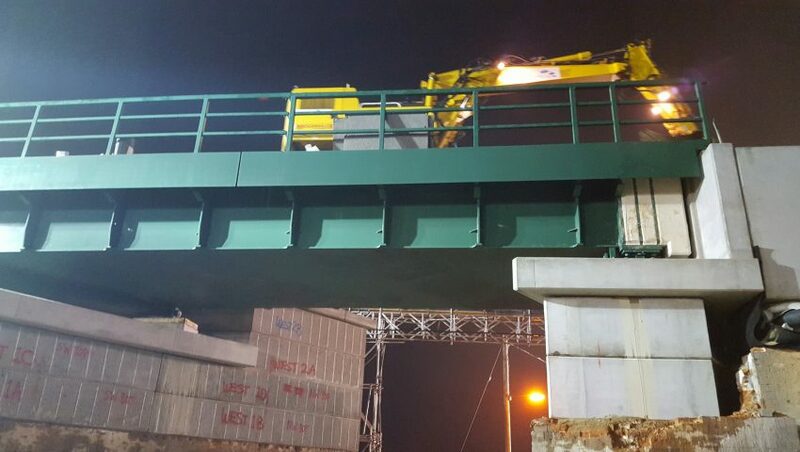 Passive provision for the installation of an additional bridge should the line be returned to twin track operation in the future. 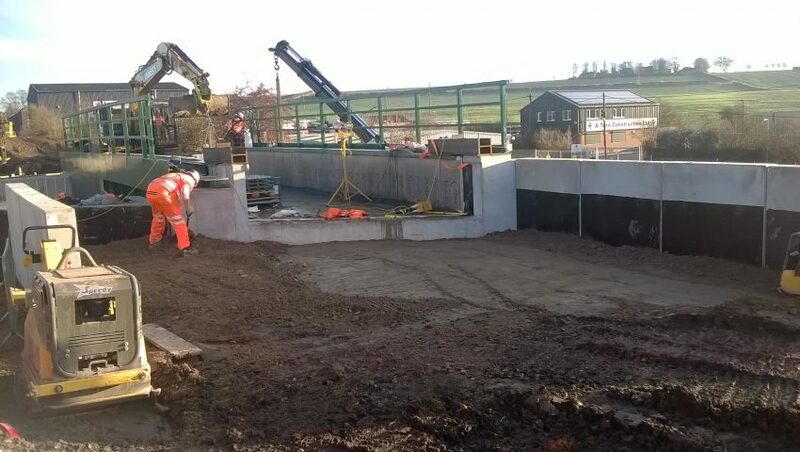 New access staircase provided at the site of the bridge allowing good access for railway staff to track level. 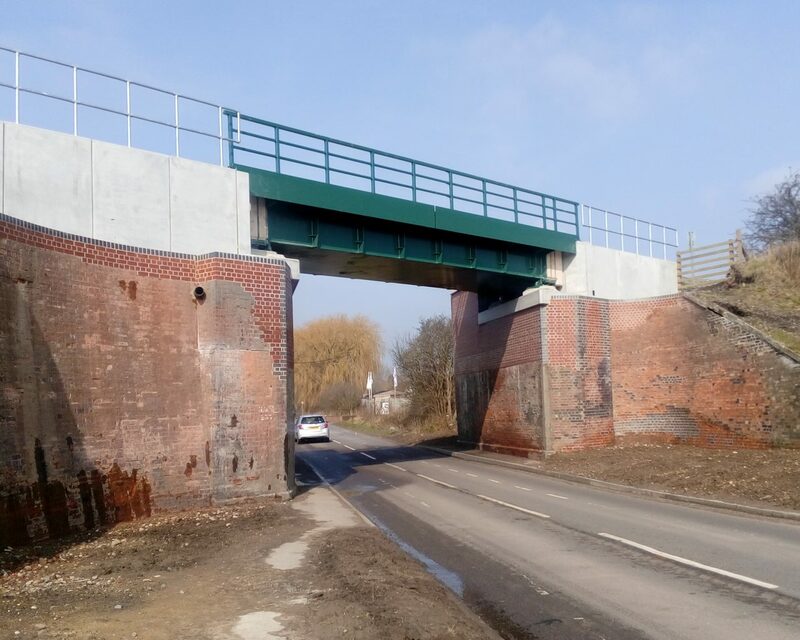 New bridge complies with Network Rail collision management status ‘Double Amber’ which has much less impact on the operational railway in the event of a vehicle striking the bridge.